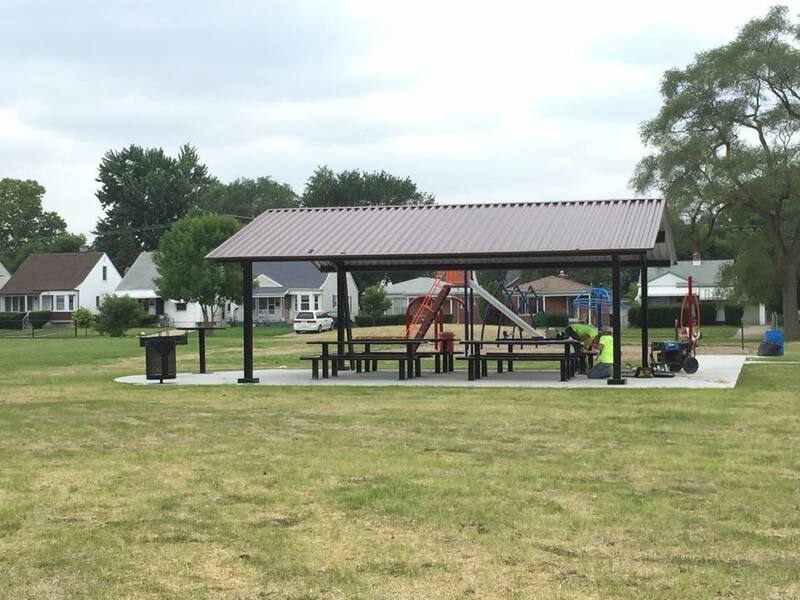 Workers installed new picnic tables and benches at the Lloyd H. Ryan Playground (5741 Faust St.) earlier today. This is part of the continuing efforts to improve a park at the southern end of the Warrendale neighborhood. Trash cans and additional park benches are also being added throughout the playground. This, in my opinion, is an important set of improvements to the Warrendale neighborhood.